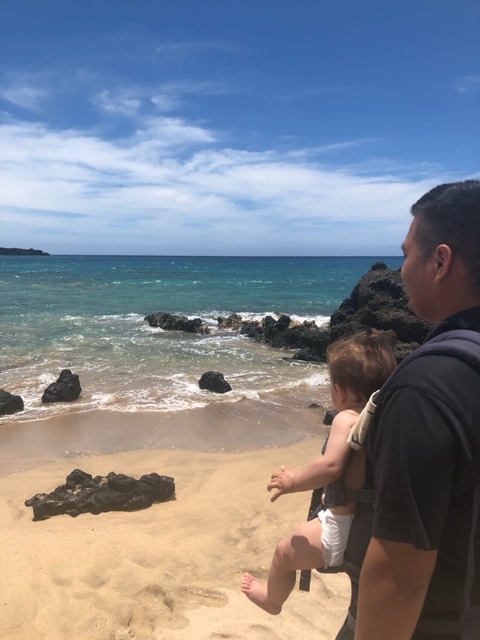 Maui is such a beautiful island filled with delicious food, beautiful beaches, gorgeous mountains, and endless adventures. 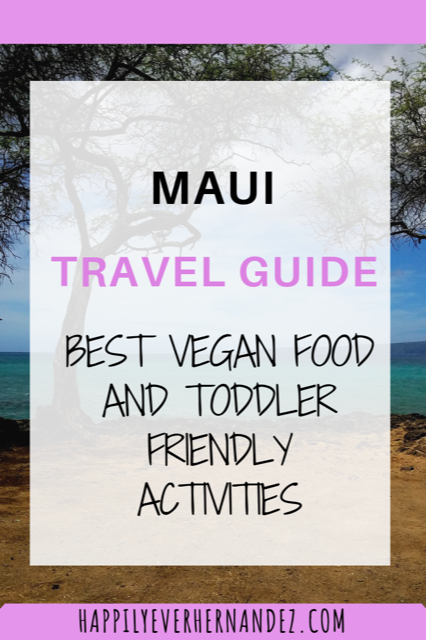 In this Maui travel guide I share activities you can do with a baby and the best food we tried while on Maui. I hope we go back in the future, because there are so many amazing things that we didn’t even get the opportunity to see. I’m so glad I was able to have a local’s recommendations to assist our planning. 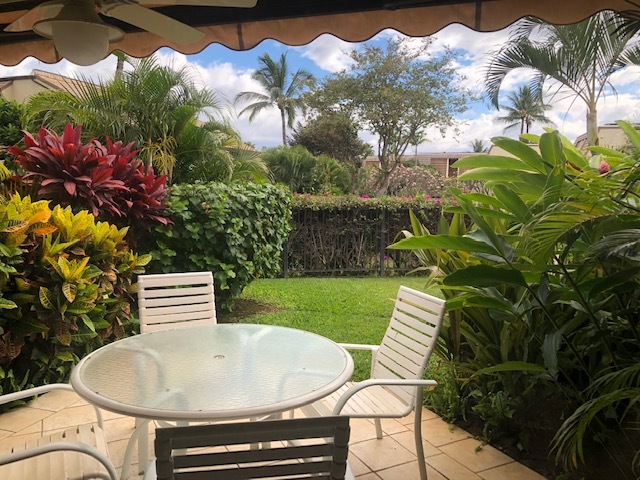 Kihei is a place where a lot of locals live. My husband, baby, and I stayed at a cute condo right across from the beach in late April. It was so nice to have a jacuzzi and pool to enjoy. There were also lots of trails with ocean views, and the landscaping was so beautiful. We loved to eat outside and enjoy the gorgeous spring weather. 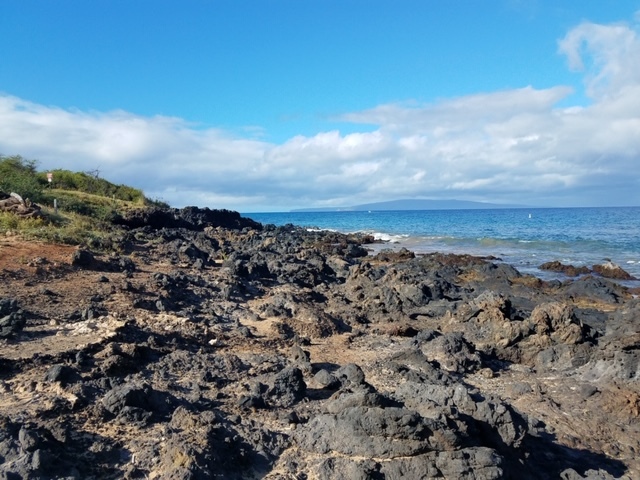 Kihei is one of the sunniest, most dry places on the island. 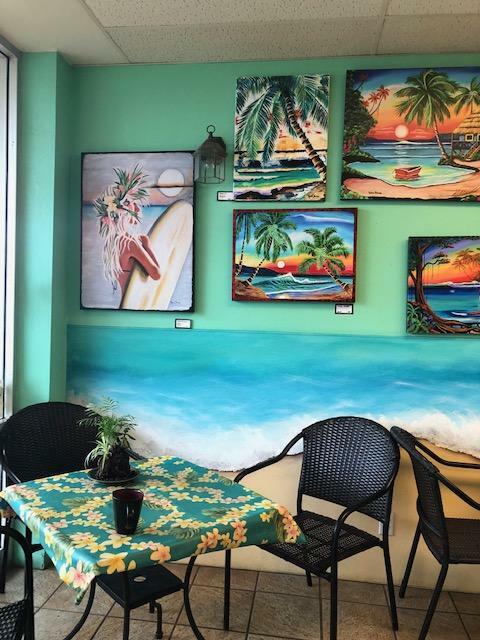 Here are some of the fun things you can do in Kihei. 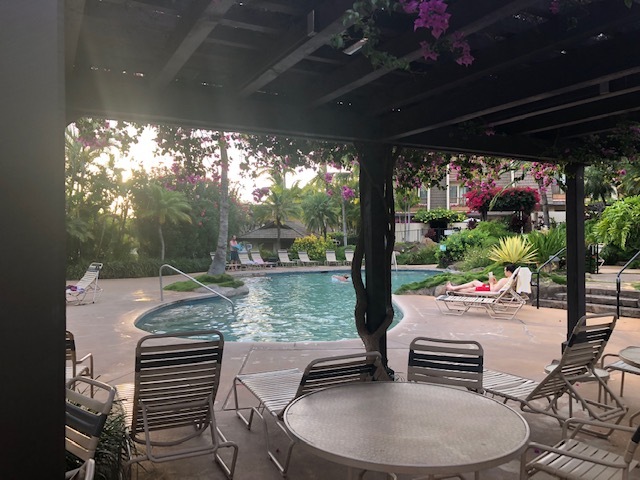 If you aren’t into typical tourist resorts, then this Maui travel guide is the one for you. We came here for the snorkeling, but my husband (Raymundo) didn’t have much luck for about an hour. While he snorkeled, I wore our baby with the ergo baby for his nap. Raymundo decided to try to catch some waves with the boogie board, but they were SO HUGE. We saw some locals using a board attached to a string to ride some of the waves. As we were leaving, the lifeguards announced that they spotted a pod of dolphins passing close by. I have always dreamed of swimming with dolphins, and am OBSESSED. People were swimming out to snorkel with the dolphins. 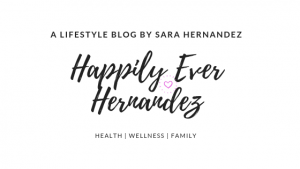 I told my husband he HAD to go! He was hesitant and thought the dolphins would be gone before he made it out, but I told him it was a once in a lifetime opportunity. Raymundo went for it, and I’m so glad he got to do that. I have a friend who lives on a nearby island (Lanai) who said that we got lucky. I would have went too, but I wasn’t prepared with the right gear and had to watch our baby. Here is some more information about this beach. This park was directly across from the condo we stayed in. The day we flew in, we walked to watch the sunset before grabbing dinner. 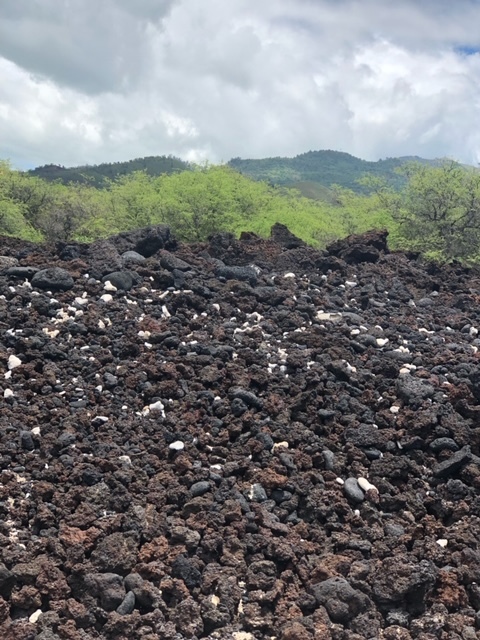 There are three different Kamaole parks, all with rinsing stations conveniently located so you don’t have to walk around covered in sand. There were picnic tables where we could eat our food. When I was looking for a place to stay, I wanted it to be within walking distance of the beach since our baby napped a lot. This place was perfect for that, so we were able to snorkel while he rested. There are lots of restaurants along the strip that we could just walk to. I loved getting to push our baby in the swing overlooking the Pacific Ocean. One day when we walked out along these rocks into the water we got too have such a cool experience. You could look down and see giant sea turtles swimming. 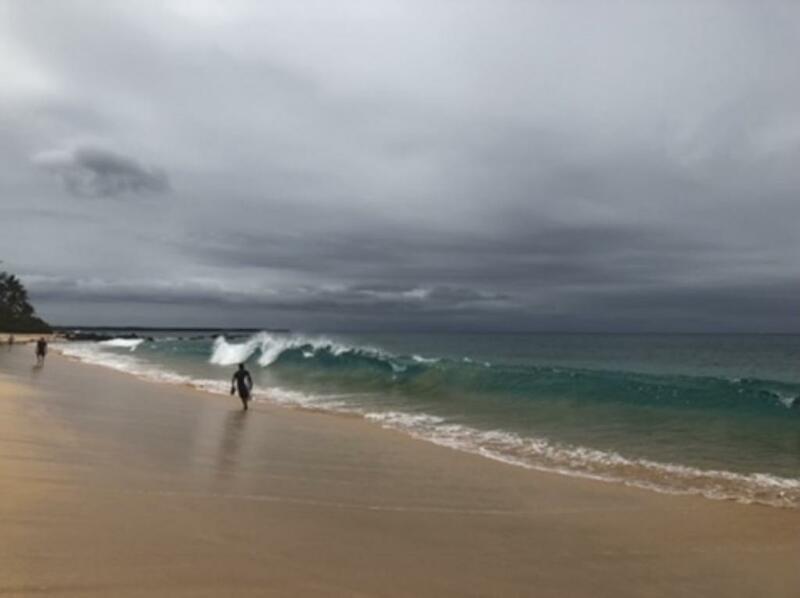 Any time you are near the water, make sure you are practicing safety precautions and aware of the weather conditions. Remember, never turn your back on the ocean! I wanted to make the drive to Lahaina for a classic Hawaiian experience: a luau (which we didn’t end up doing). We did, however stumble upon Lahaina historic trail while trying to get our baby to nap. It was so cool to learn about the history of the town and talk with some locals at the visitor center. I saw people creating their own leis with fresh flowers (which I would have done if I wasn’t wearing my napping baby and if we had cash). 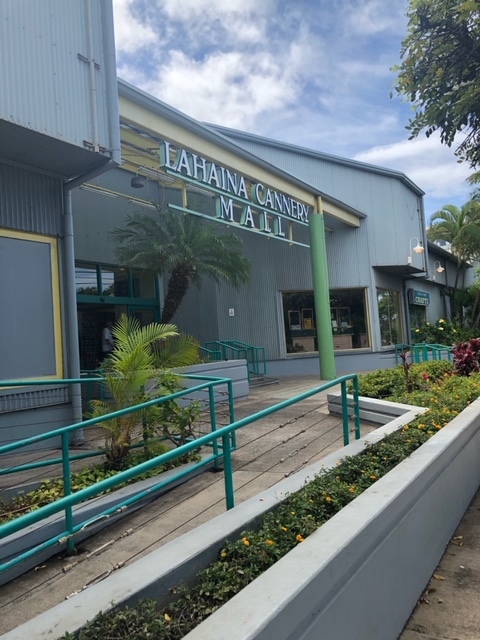 Another place I was interested in checking out was the cannery mall. We are not huge fans of shopping and finding souvenirs, but I ended up finding a cool frog instrument like this one for our baby made with local wood. He also found an egg shaker like this one that he had to have. On our way back home we stopped and had Choice Health Bar (I talk more about this below along with our other favorite vegan eateries). 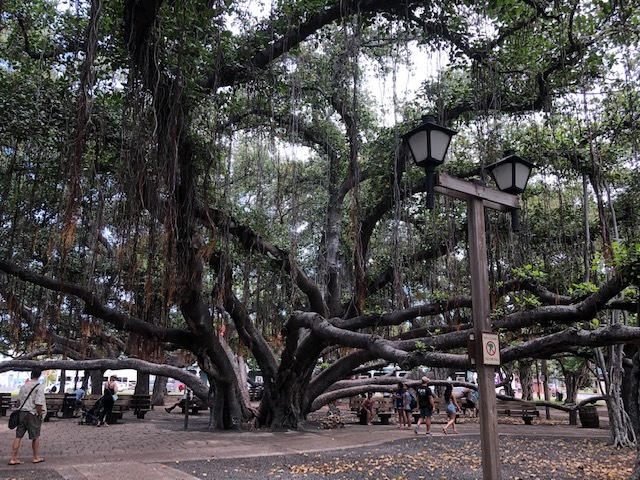 Another popular attraction that we had to see was the banyan tree. I was told about a beach that would be good for babies nearby called “baby beach”, but we had trouble finding it. 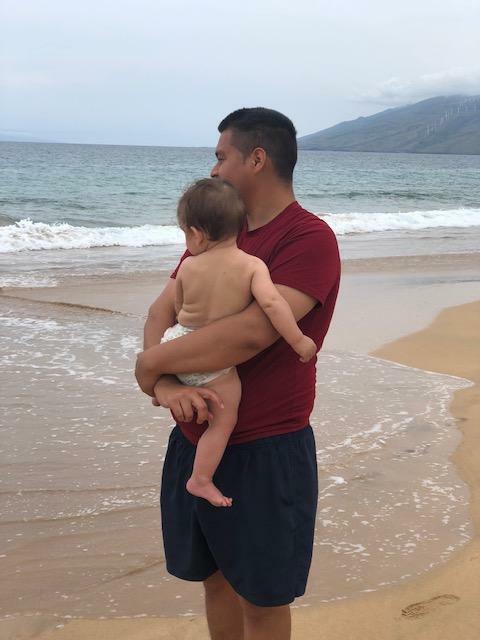 I’m glad we got to experience this little drive from Kihei where we were staying. The views on the way there were amazing right next to the water. If you’ve looked at another Maui travel guide this place is probably already on your travel wish list. This is a common recommendation on a Maui travel guide. 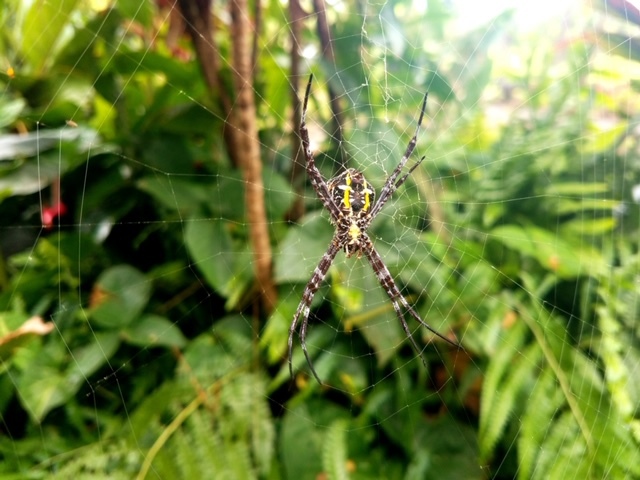 There were spiders and webs all over the tropical plantation. I debated going, but we went since it was close by. They had a cool shop where we found some wooden kitchen utensils made from local wood. We also got the most tasty homemade roasted nuts and seasoned chickpeas from a little stand. We tried some other treats from Kumu farms, including fresh coconut water. They had a bus tour that you could take to see all of the grounds (which we passed on). We chose to just do the walking tour. It sprinkled rain a bit, but we enjoyed getting to read about the history of the grounds and see all of the local flora. Maui tropical plantation is a fun way to spend part of your day. When we came here we saw there was a section that was closed off due to a shark being in the area. This is a marine life conservation district where no fishing is allowed, so there can be amazing snorkeling. 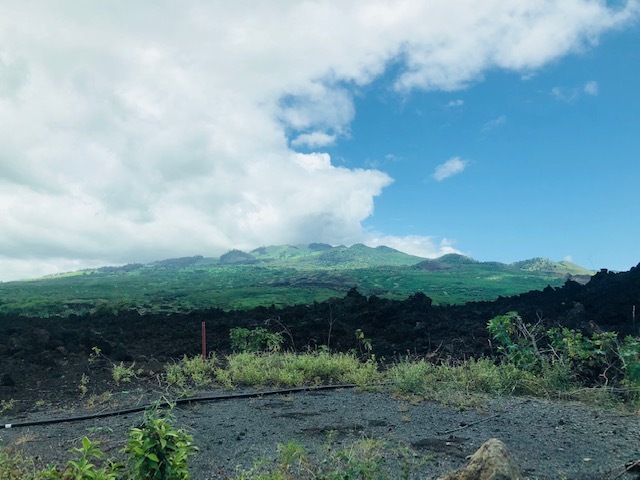 We didn’t snorkel, but it was so cool driving through and walking the trails being able to see the lava rock and ocean. Not your typical pit stop on a Maui travel guide, but well worth it. 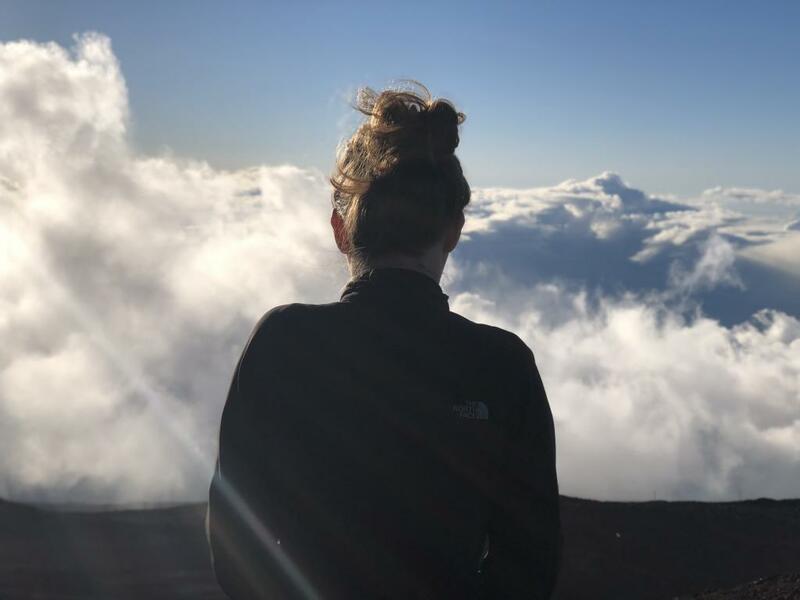 This Maui travel guide wouldn’t be complete without this island staple.Haleakala National Park houses a dormant volcano at 10,023 feet above sea level. It is most popular for people to visit to watch the sunrise, but we knew with a baby that wouldn’t work best. We decided to check it out during sunset, and the views did not disappoint. We weren’t able to get a great picture of the sunset during our descent, but the views were definitely worth the drive. This park offers so many different trails to experience that you could spend the whole day there. Just be sure to pack and prepare for different weather conditions. If you go to the summit like we did it can be very cold. The drive is the most curvy road I’ve ever been on, and since we went during sunset it was dark and wet on the way back down. 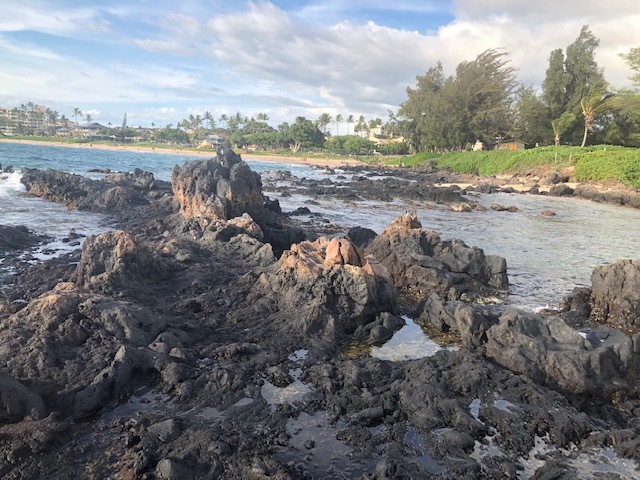 These are the places that we tried and enjoyed while we visited Maui. 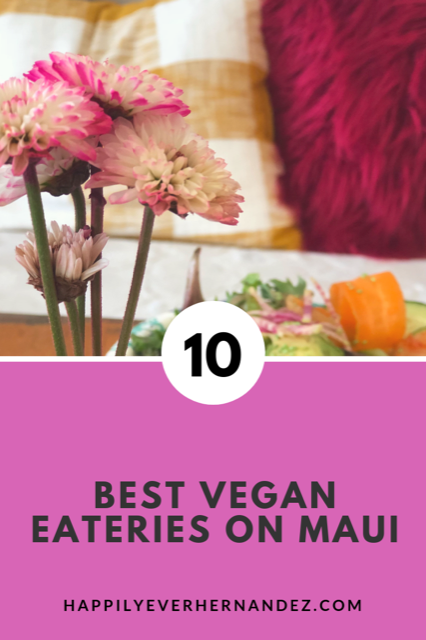 All of these places offer vegan and gluten free options. Wow Wow Lemonade (Kihei) We visited here multiple times and enjoyed their handcrafted lemonade made with local fruit along with other tasty smoothies. I love how we got to keep these mason jars to reuse even after the trip as a little souvenir. They also make açaí bowls if you’re looking for a snack or breakfast. I think we picked something up from here every day. The people were so friendly, and the food was the best we had on island. Some of our favorites were the vegan chili bowl, vegan grilled “cheese”, chocolate mousse, and raw vegan live nut burger and burrito supreme. There is something for everyone to enjoy here. 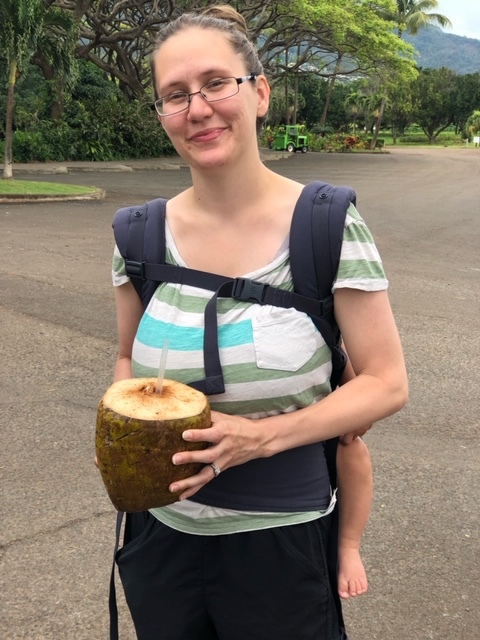 We went here multiple times to get groceries and local, fresh fruit to try along with other staples to cook in the condo (pineapple was a must being in Hawaii where our baby tried it for the first time and loved it). They had a buffet style food section where you could get hot meals or salads as well as a deli section where you could order burgers, sandwiches, and more. 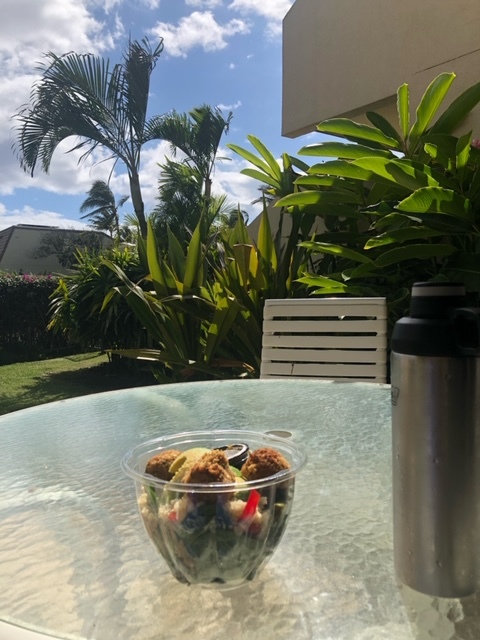 This was convenient to stop and grab tofu scramble on the way for our morning adventures or during the day to pick up aloe vera for a sunburn or a quick snack or meal to eat by the beach. We got the epic entree with a burrito bowl and lentil soup. It was so freaking good. As a sucker for sweets, when I saw the raw vegan brownie I had to try it. It did not disappoint. We stopped here before heading to the airport. 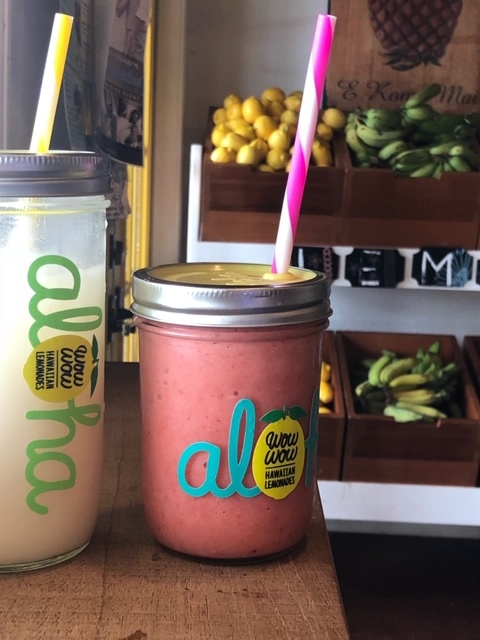 They have many healthy options like organic smoothies, juices, and fresh fruit bowls along with heartier meals such as burgers. This was one of the first places we stopped at for breakfast. The vibe in this shop is so cute. There are many “instagrammable” locations. All of the coffee they serve is local to Maui. I got a raw vegan carrot cake granola bar that was to die for. This is like a chipotle, but you get to create your own salad! The falafel was so good. I loved getting to add my other favorites like bell peppers, avocado, and spinach along with quinoa and a miso dressing. We ordered takeout and ate on the patio of our condo. We got this for dinner as takeout as well. The Thai food couldn’t compare to what we were used to in the Bay Area, but what we got was pretty good. We got the buddha bowl of the day. 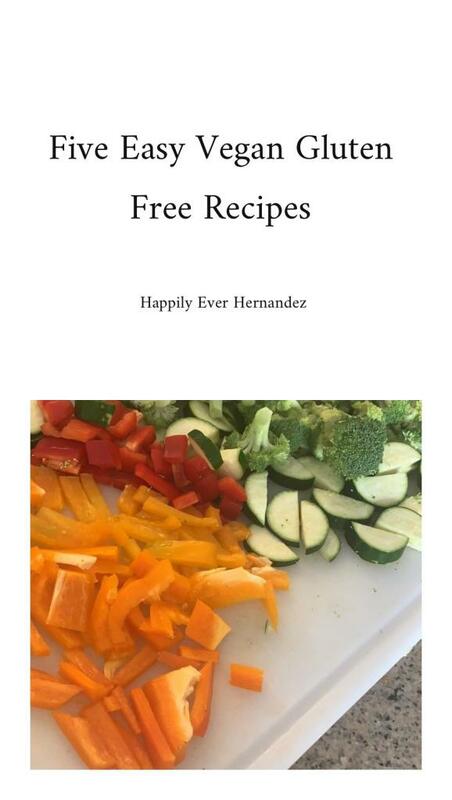 It was an amazing home cooked vegan ratatouille (which I had never tried before). 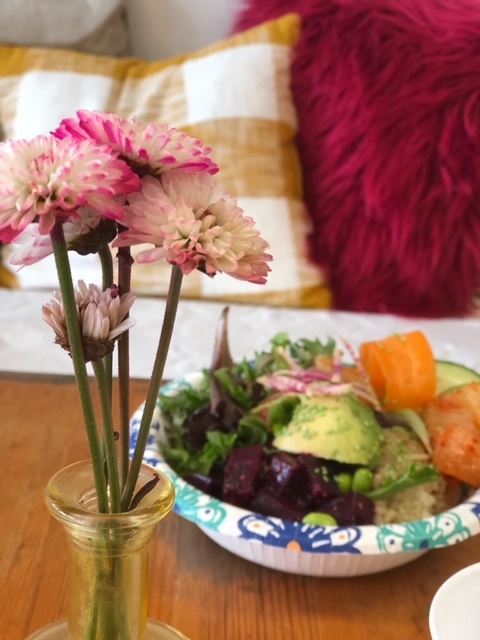 We also tried the beet and quinoa salad that was delicious and nutritious. The Kihei location is no longer open, but there is one in Kahului (where the airport is). We got the vegan, gluten free pizza from the food truck. It was super filling. 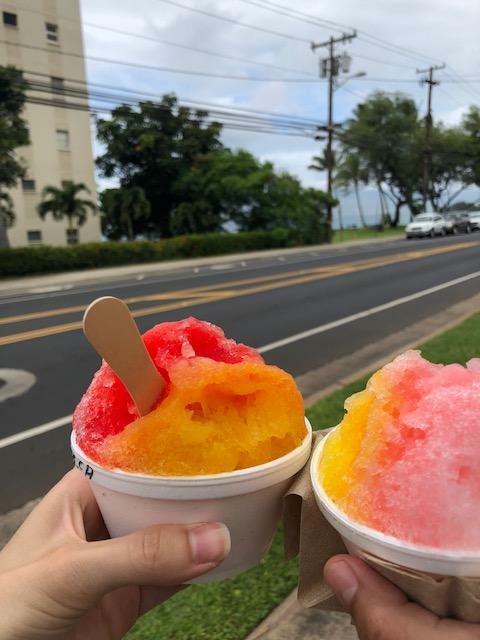 The first place we got to try Hawaiian shave ice was Ululanis. They use fresh fruit to make them, and it was SO GOOD. The Hawaiian pineapple dole whip was bomb too. This outdoors blanket is portable and easy to pack in your suitcase. It is simple to clean and big enough to fit multiple people with their essentials. We bring it with us on every beach trip. I take my stainless steel tumbler everywhere to make sure I stay hydrated and reduce my waste. This stainless steel cup is spill proof and great for babies and toddlers. Any time you are going somewhere sunny, you want to make sure your baby’s precious skin is protected. 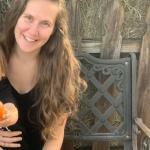 Here is my favorite mineral sunscreen for babies that is gentle and reef safe with natural ingredients. I love this sunscreen. Some other things on my packing list are sandals and sunglasses (my toddler has some like these and loves them). 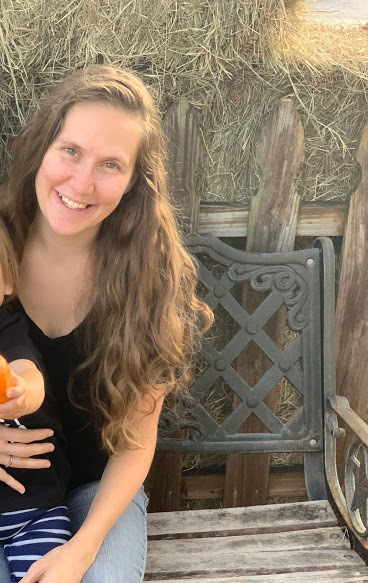 Check out my guest post on the best baby and toddler gift ideas for toys that you can bring on an airplane or car drive to keep your baby entertained. This lunchbox is perfect for bringing along snacks during your trip. This thermos will keep your meals warm. We got these glass containers to keep our lotion and travel size soap in. Every where we go we bring our baby carrier. It makes going through the airport and on the plane easy while your baby naps. We wore our baby at the beach and through hiking trails while we were on our trip. I use my headphones every day to listen to audiobooks while I’m cleaning or my baby is napping. These are perfect for if you’re watching downloaded videos or listening to music on a long flight. For long travel days when you want to keep all of your devices charged, this power bank comes in handy. 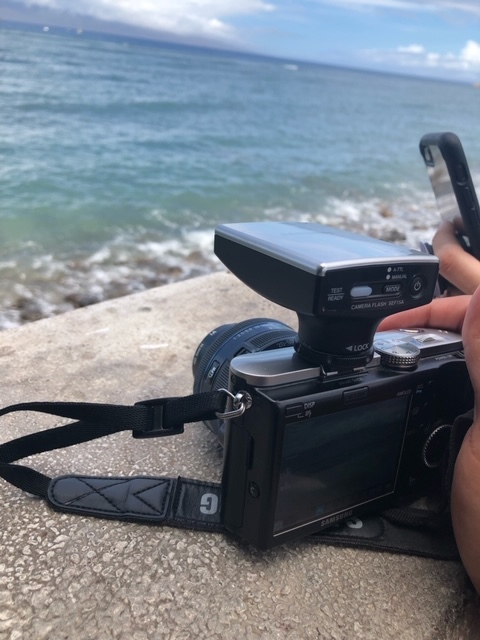 If you love snorkeling like we do make sure you bring a waterproof camera with extra batteries to capture footage of everything you see! This fan is amazing to carry with you on the go to keep cool. We carry it with us on walks, hikes, beach and park trips. 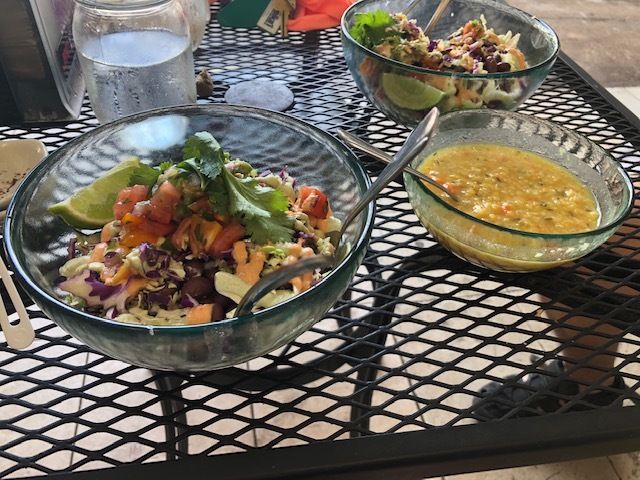 One of my favorite things about traveling besides getting to explore outdoors and time with family are all of the wonderful foods we get to experience. 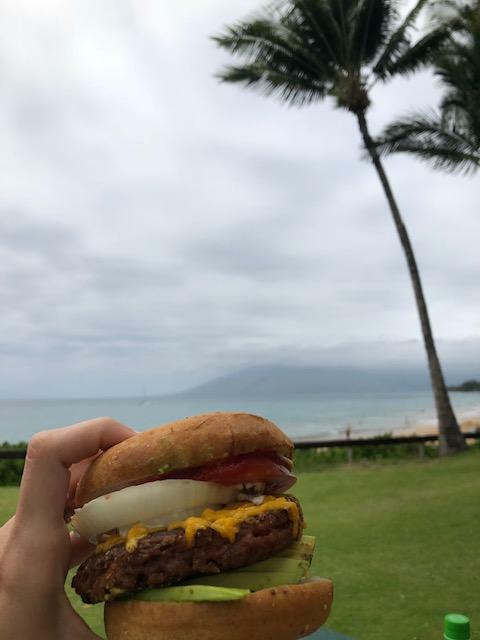 I want to go back to Maui just to eat all the food again! 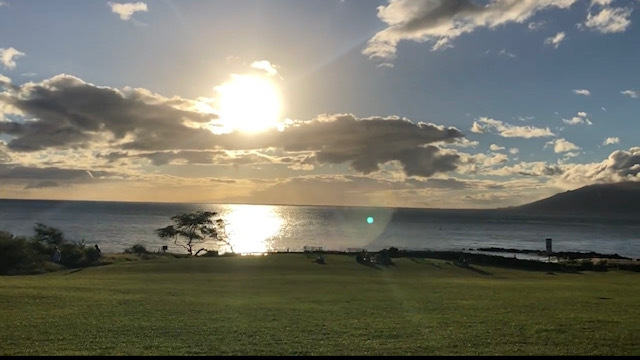 I would love for you to share your experience on Maui below, so we can have more information if we visit again. 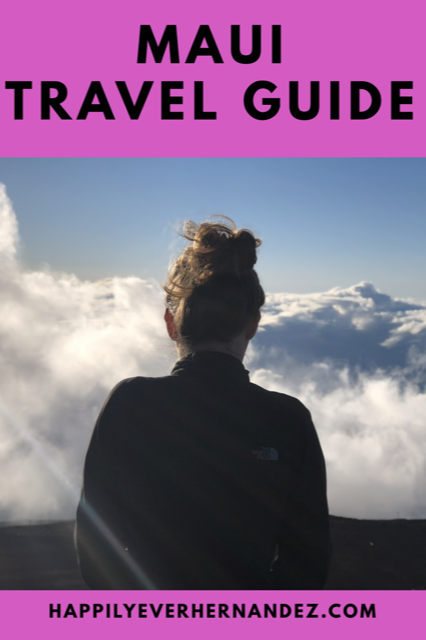 If we return, I will add more info to this Maui travel guide. This brings back memories… I had my honeymoon on Maui. Seeing the sun rise at Haleakala then biking down was one of the highlights of our trip. Sounds like you guys had a great time! That sounds amazing, Valerie! We loved it.